The latest Video Conferencing services are HD quality and as easy to use as a telephone. 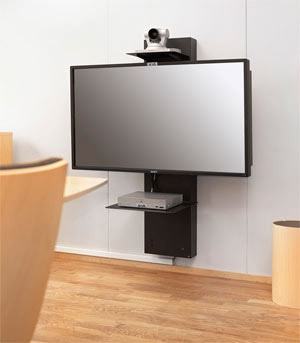 All modern video conferencing systems can also be used for audio conferencing. Video conferencing is particularly useful where groups of individuals need to interact ‘live’ on real time projects regardless of their geographical location. The key is to match the design of the audio visual technology to best suit your company environment from large scale displays to individual desktop. HeriotAV designs systems which can remain hidden from view until they are needed so your corporate office theme is intact but you are saving valuable expensive office floor space. Each project is different and HeriotAV designs its Audio Visual / Video Conferencing systems to ensure you get a unique cost reduction tool with a defined return of investment.